There’s a lot of buzz around the theme for the 7th annual Floyd Yoga Jam “ILLUMINATION”. 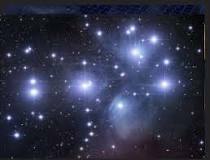 We’re seeing the light that shines from within us reaching out to the stars, we’re thinking about the seven sisters, the cluster is dominated by hot blue and extremely luminous stars, just like you. This year will be the year of the 7th and last color of the chakra silipint cups, any guesses what color the cup of 2018 will be? August 30th-September 2nd, gates open, and the festival grounds will be filled with the light of love everywhere we look. Tickets go on sale November 14th, 2017, the best prices on 3 & 4Day tickets will be available before the 3 tiers, so get yours early if you want to save some money.